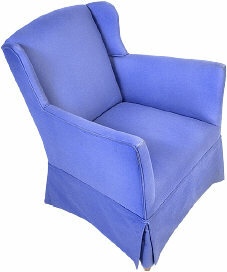 Any type of upholstery can be cleaned by our professional cleaning technicians. Since you don’t walk on your upholstery with dirty shoes (hopefully! ), you don’t bring the dirt and grime from outdoors onto your sofas, chairs or other upholstered fabrics. So it is only natural that you have no idea how heavily soiled your sofa, loveseat and chair can become over time! Dead skin cells, oils, dust, and other contaminants will collect on your upholstery and can only be removed with a thorough professional cleaning. Only our highly trained professional service staff will have your upholstery sparkling clean and ready to use again, in just hours instead of days. Discount Carpet Cleaning in Orlando is here to help your furniture look like new again. Our special cleaner will lift dirt and oils from your upholstery and make your rooms smell fresh again. To get your home in the best shape ever, call now for our free quote 407-617-3411, or schedule an appointment online right now!